The sort that lit up my eyes immediately. I fall in love with Vietnamese cuisine again and again. 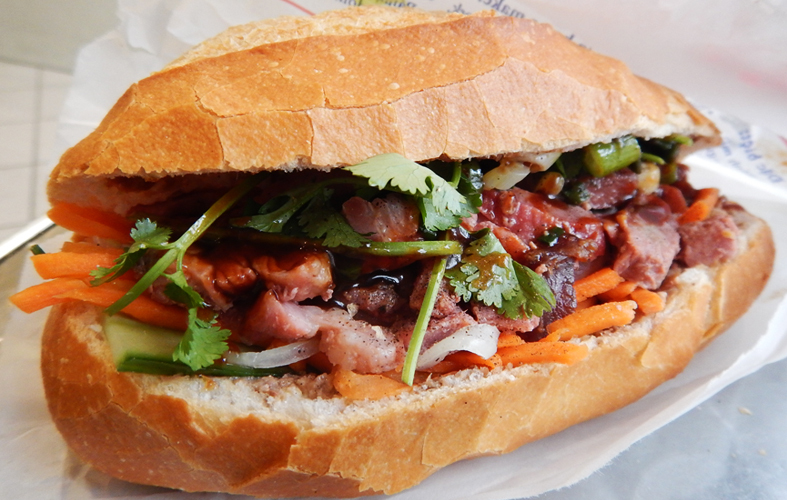 Each time, harder... first beef pho, then bahn mi. 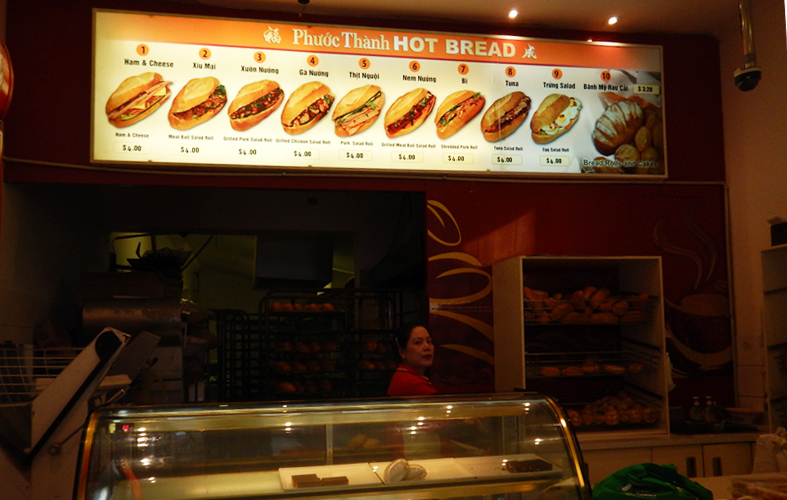 Phuoc Thanh Hot Bread Bakery is undoubtedly a stopover that I do repeatedly whenever I go past Richmond, and one of those places I miss so much now that I am back in Singapore. 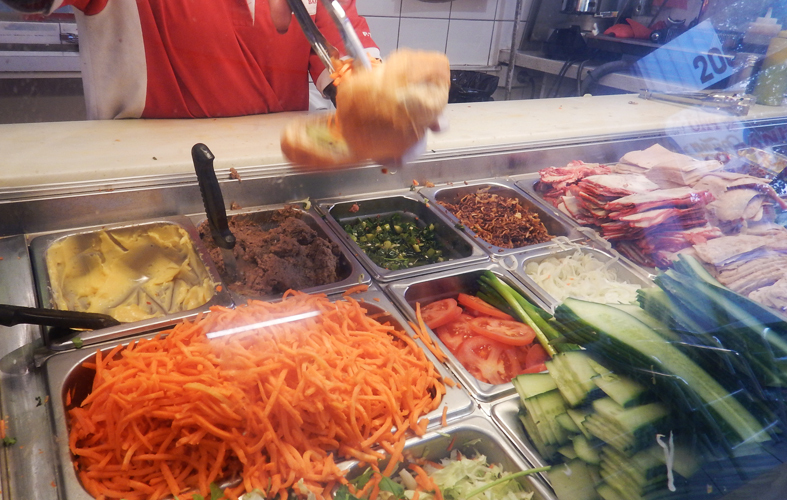 A bahn mi is like a baguette stuffed with fresh vegetables and delicious meat... or the more 21st century way of explaining: Vietnamese version of Subway (cultural purists hold your horses, you've to admit they are pretty similar). 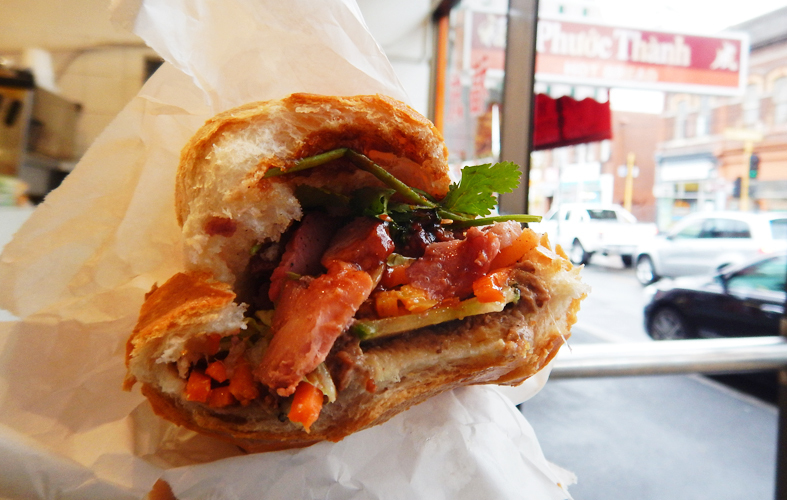 But honestly, this really good kickass bahn mi from Phuoc Thanh is miles and miles ahead of Subway. I approached it with skepticism. I eyed it with suspicion because I don't particularly like Subway, and how good can a 'sandwich' be? Then... the first mouthful had me tears springing up in my eyes. 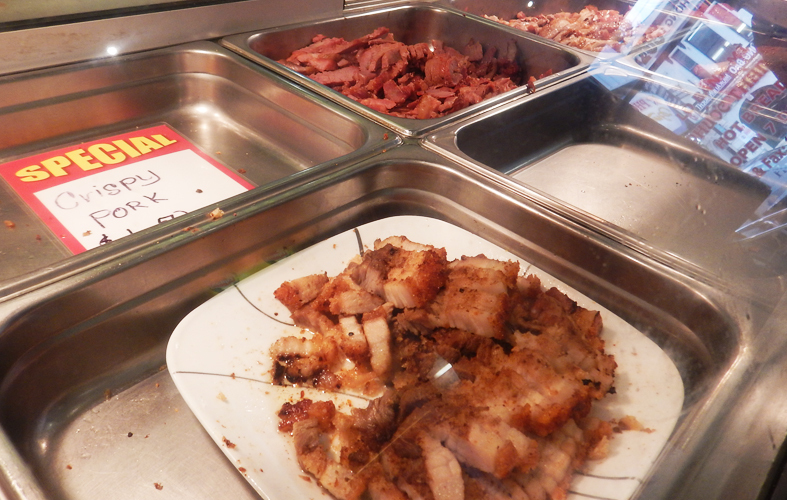 How can anything this heavenly exist... and at such an affordable price of AUD4? Folks in Richmond are so lucky, I swear. It is a mess to eat, for sure. But the freshness of those carrots, herbs, cucumbers in it is so unworldly, almost as if they just got harvested and immediately used for creating this humble straight masterpiece. This makes the whole sandwich extra juicy. I love coriander, so its omnipresence in most of Vietnamese dishes fits me perfectly. All you coriander haters.. you can request to exclude it of course. On all occasions, the meat - regardless grilled chicken, shredded pork, grilled meatballs - they are all so tasty and tender, slathered with sauce. All of the above, stuffed in a freshly toasted, hot crispy baguette. Note: The later you go, the less choices you'll have. Advised to go before 3pm.